Canadian home prices slipped back in the second half of 2018 according to a leading measure of pricing trends. The Teranet-National Bank National Composite House Price Index was down 0.3% in December compared to the previous month, continuing a trend of most metropolitan markets in recent months. For Calgary, December marked a sixth straight month without an index rise, and a cumulative decline of 2.0%; for Vancouver a fifth straight month and a cumulative loss of 2.9%; for Edmonton a fourth straight month and a cumulative loss of 2.7%. In the fourth quarter, only Montreal and Ottawa-Gatineau posted price gains. The summary of the latest index data highlights the impact of higher mortgage rates and tougher qualification criteria; and calls for a soft landing for Canada’s resale market. Across the metro areas surveyed, there was widespread price decline in December with 7 of the 11 negative. Edmonton (−1.4%), Vancouver (−1.2%), Winnipeg (−0.9%), Calgary (−0.6%), Victoria (−0.4%), Hamilton (−0.4%) and Quebec City (−0.4%). Indexes were up for Ottawa-Gatineau (1.0%), Montreal (0.4%), Toronto (0.2%) and Halifax (0.1%) all saw lower price indexes compared to the previous month. Looking at the 6-month picture, there was year-over-year decline for Calgary (−2.6%), Edmonton (−0.9%), Winnipeg (−0.5%), and Quebec City (−0.1%); Halifax was flat; and there were gains for Victoria (6.0%), Ottawa-Gatineau (5.9%) Montreal (4.4%), Hamilton (4.4%), Toronto (3.7%) and Vancouver (1.4%). The 12-month advance of the composite index, at 2.5%, was the smallest since 2009. 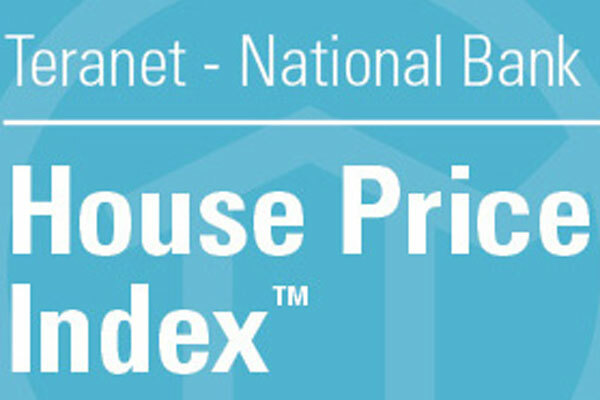 The index is calculated from a base value of 100 in June 2005.